Partus. Photo by Helena Fletcher. This was meant to be our New Year’s Eve post, but for various reasons, that didn’t happen. But here we are. Usually for New Year’s Eve we post something from the previous year - a bit of text created for a show, an out-take or an extra, as it were. But 2016 has been so busy, it feels more appropriate to look at it all - or most of it, anyway - and say, well, that was a good year. An annual review, if you like. An annual review of a year that was a two decade review. 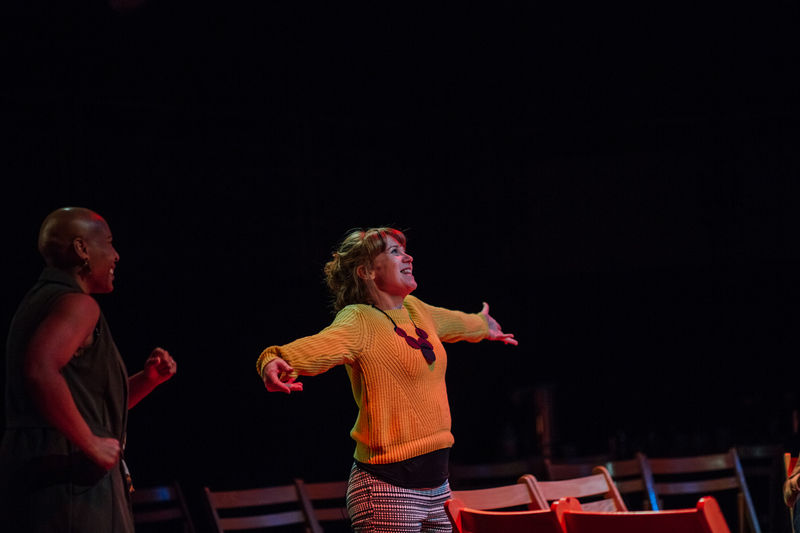 We started the year opening PARTUS with a week’s run at The Crucible Studio in Sheffield. 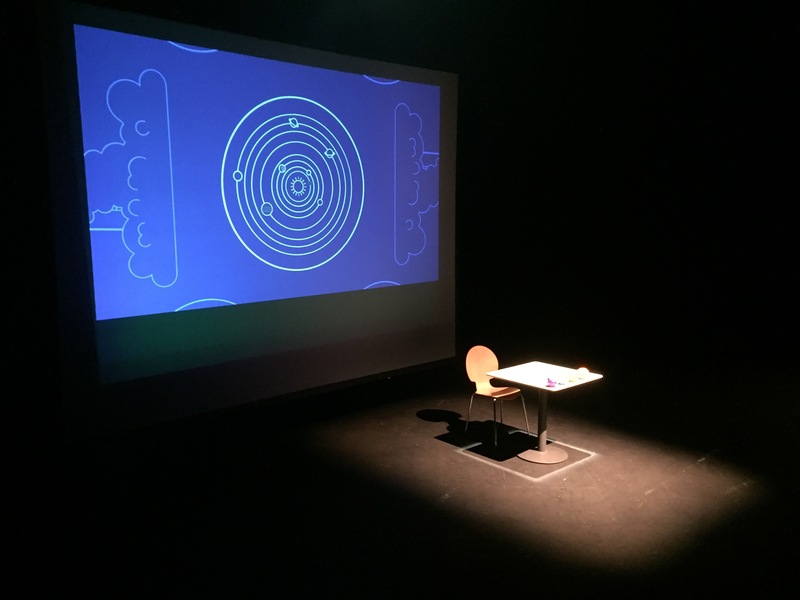 We tried out baby and breast-feeding friendly audiences for the first time, which were a great success, over 30 and 50 babies at the two daytime performances. Brilliant – best theatre I’ve been to. • I chose to come to the baby-friendly performance which added an amazing atmosphere • Wonderful. A must see. • Thank You, Thank You, Thank You! I love that you talk about women’s stories, that they matter. Alongside making the show, and feeding in to it, we ran The Young Mums Project, in collaboration with the brilliant, and important, Young Women’s Housing Project. Partus is on tour in spring 2017 - check the tour calendar for dates. If you’d like to book Partus for the autumn, do get in touch. 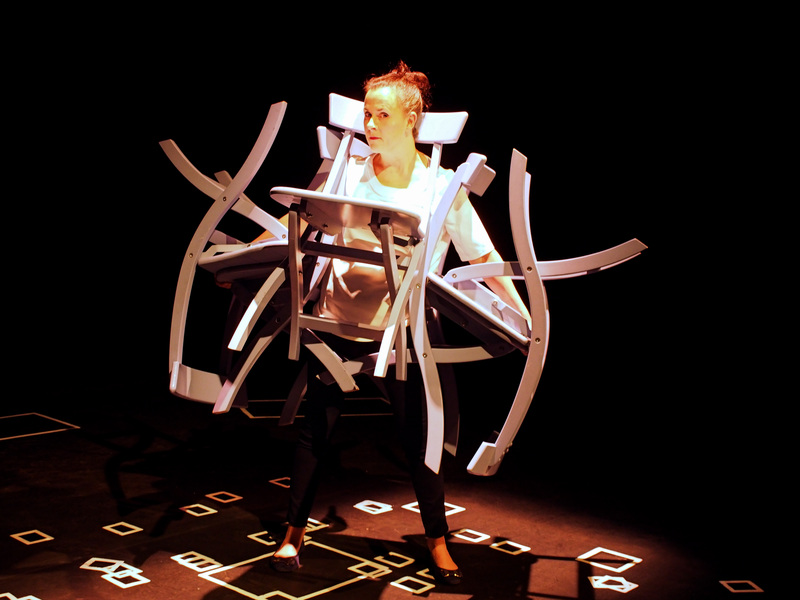 Rachael in Presumption 2016. Photo by Martin Fuller. It was a joy to return to again. We had made a deliberate decision that reviving Presumption for the 20th Anniversary would be a remount of the existing show (we have thoughts about re-interpretations of a couple of other early shows), and in rehearsal we talked quite a lot about a couple of lines that we wouldn’t have written now. We did make one or two tweaks, and of course some later sections are partly improvised. But this is a couple who live together but who appear not to have mobile phones… in the light of that, Megan Vaughan wrote a really interesting response to the piece, here. Shortly after that, we were back out on the road with 6OO PEOPLE, which we were lucky enough to tour to a host of brilliant Festivals: Castaway in Goole, Pulse in Ipswich, The NRTS Showcase in Falmouth, the Edinburgh Fringe with Northern Stage at Summerhall, Greenbelt Festival, Festival of the Mind and Off The Shelf in Sheffield (in a Spiegeltent and the Crucible Studio, respectively), Warrington Contemporary Arts Festival and the Sidewalks Festival in Beirut. Amidst a tour of brilliant gigs, the first night at Sidewalks stands out as one of my favourite performances ever. And it was great to bring INSPIRATION EXCHANGE home to Sheffield (as it was created for a workshop at The Showroom in 2010) for presentations at both Wrought and at the first Hillsfest in the summer. Inspiration Exchange. Photo by Joseph Priestly. 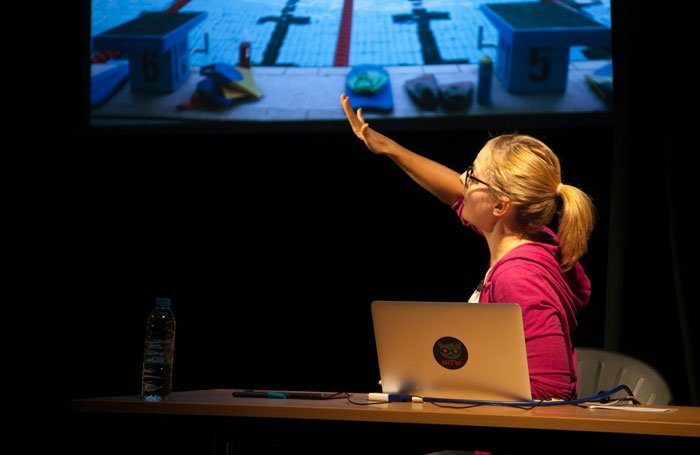 and Hannah Nicklin, who was on tour with EQUATIONS FOR A MOVING BODY, made in collaboration with me, including a three week run at the Edinburgh Fringe - again with Northern Stage at Summerhall. There were loads of really lovely responses to the show online and in person (it made the BBC sports pages), but this from Rosie Curtis was probably my favourite. Hannah Nicklin’s Equations For A Moving Body. Photo by Niall Coffey. 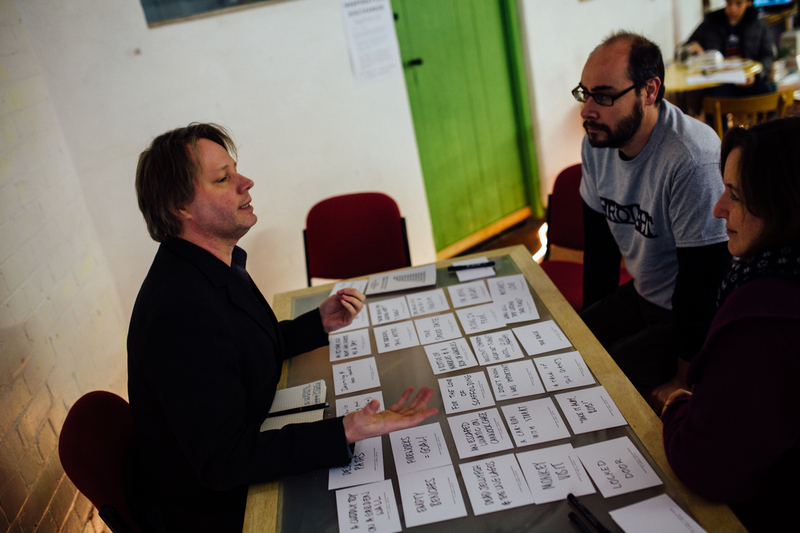 We’ve had a long relationship with brilliant theatre maker and friend of the company, Michael Pinchbeck, and this year that was more apparent than ever. Rachael was a guest performer in Michael’s show The man who flew into space from his apartment at Wrought, and then also worked as a dramaturg, with Ollie Smith, on Michael’s new show Concerto (touring this year). Back in Sheffield in October we realised the long held ambition to make the full version of THE DESIRE PATHS. Originally conceived for Northern Stage’s Make. Do. And Mend. event in Edinburgh 2013, The Desire Paths was created in full for Sheffield’s Year of Making, October 2016. The Desire Paths, Sheffield. Photo by Joseph Priestly. 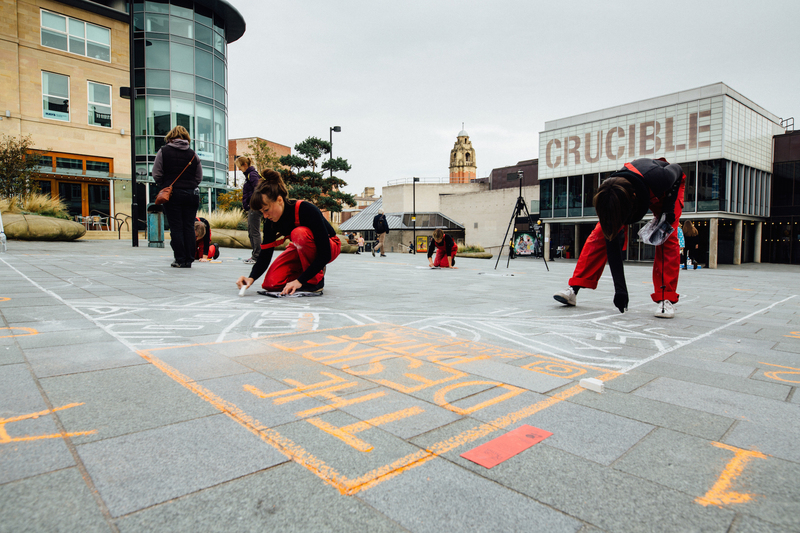 We chalked out the city centre street map from the Sheffield A-Z, and asked the public to rename the streets - not after some past event, but to commemorate a hope or a dream for the future: personal or political, serious or lighthearted. We heard so many stories, of first jobs, chance meetings, lost loves. A moving, brilliant day, and a chance to work with some regular collaborators, and some who we’ve been wanting to work with for a long time. We’re currently compiling and editing all of the documentation of the day, and that will all go up on this site soon. In the meantime, if you’d like us to come and remake The Desire Paths for your town or city, do get in touch. In the autumn we also launched FUTURE MAKERS, our new free workshops for 14-19 years olds, introducing them to routes into the theatre and film industries. The project carries on in school holidays in 2017 - all the information is here. Our good friends at mala voadora invited us back to Porto for the second incarnation of Uma Famillia Inglessa. When we first met Jorge in in Lisbon in 2004, we were making the show that would become THE LAD LIT PROJECT. 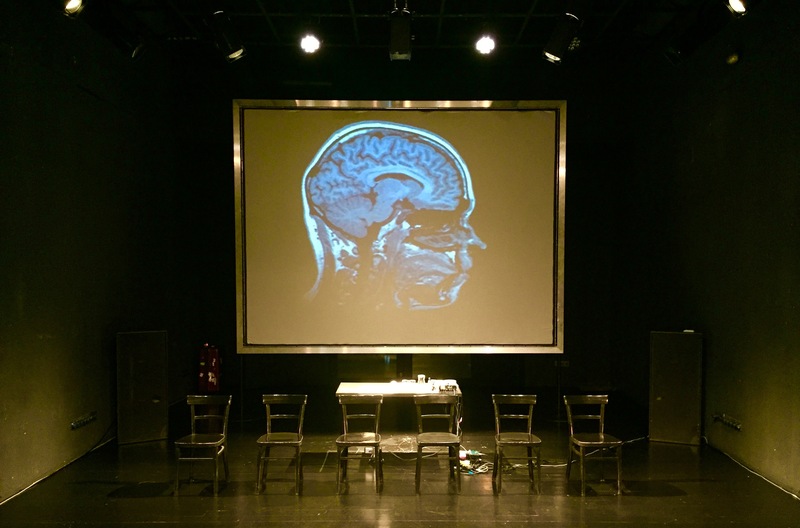 So if felt fitting to revisit and revive that show, to present with them, in their amazing space in Porto. I’ve been performing The Lad Lit Project for 12 years now (though this performance ended a three year hiatus). I was worried that it would feel dated, but in the end, the only section that needed an ‘update’ is the Friends Map, which is much more complicated than it was in 2005, due to social media and being a parent. 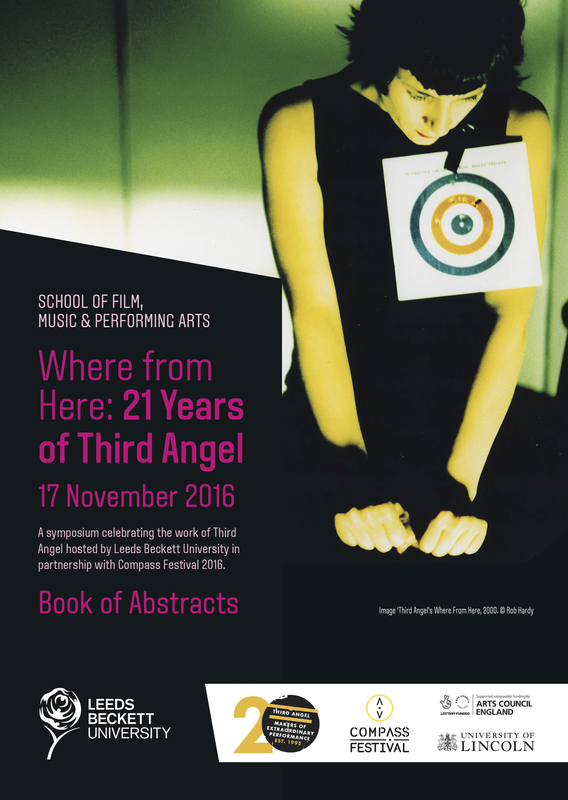 In November 2016, to close our anniversary year, Leeds Beckett University and Compass Festival of Live Art hosted the symposium WHERE FROM HERE: 21 Years of Third Angel, convened by Alex, Michael Pinchbeck, Oliver Bray and Hannah Nicklin. Third Angel artists were joined by other friends, colleagues, artists and academics from around the country, who gave performances, papers and presentations either directly about our work, or their own work which explores a similar territory, or, most often, a combination of the two. The (free) event was sold out, and it was great to present it in collaboration with long time partners Compass and Leeds Beckett University. We’ll be putting documentation of many of the talks and performances up online in the near future. As well as ‘our own’ symposium this year, we also presented papers about our work at the TaPRA Interim event, Training To Give Evidence, at Northumbria University (‘Telling Other People’s Stories’), and at the Staging Loss symposium at the University of Lincoln (‘Cheers Grandad! 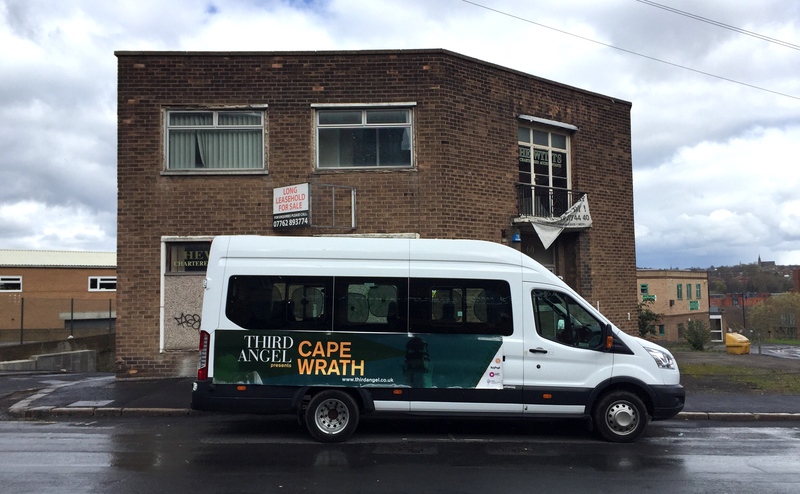 : Third Angel’s The Lad Lit Project and Cape Wrath as Acts of Remembrance’). Mixed in with all that there was of course more education work, and research and development on five or more other shows and projects. About some of which, more soon. So that was 2016. Thanks for joining us for some of it.